The Sanibel Captiva Trust Company launched their 2018 WOWPlus Series with “Health & Wealth – A Dazzling Duo” about how to manage both your physical and financial well-being. Al Hanser, Founder and Chairman of The Trust Company opened the program by welcoming the audience of more than 65 women to a brand new event, and saluted guest, Ginny Fleming, Trust Company Board Member, Emeritus who served to establish this speaker series 15 years ago. The name W.O.W. stands for Women, Opportunity & Wealth, but has now become so popular that many gentlemen desire to attend. Hence, the updated series name of “WOWPlus” and certain programs now welcome men. When the crowd was asked what activities they do to train their brains, they said things like the game of Bridge, reading, balance a checkbook, Sudoku, etc. These are good, however, all of these activities are done while sitting. We must oxygenate our bodies and brains before and during these activities for them to be effective. Mitchell had the group rise and stretch, march in place, and reach for the ceiling multiple times during the talk. This created a more attentive and energized audience. 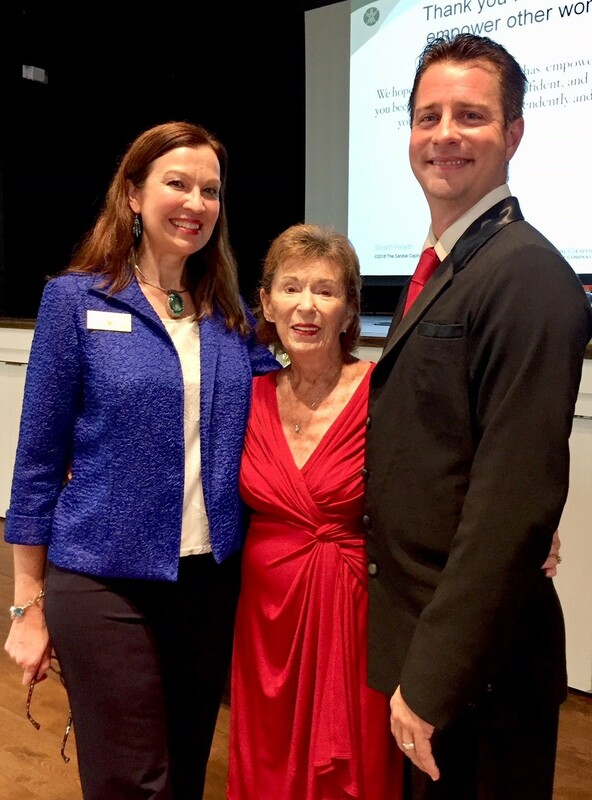 After more brain teasers and lessons learned, Robin Cook drove home the points that Mitchell made by introducing Sanibel’s own ballroom dancer, Leanne Trout and her instructor, award-winning dance coach, David Flory. The duo opened with the Tango, captivating guests. It was only after the dance that the audience was told that Trout began dancing at 84 and is now 89 years of age, having won competitions at the national level. Cook said, “There is no age limit on learning something new and improving our health. The same is true for our financial health.” She proceeded to outline the types of estate planning and financial checks that should periodically take place, so your instructions and finances are up to date in the event of death or becoming incapacitated. Some include – review beneficiary designations on life insurance, retirement accounts, and investment and bank accounts; consult annually with your CPA for tax saving actions; review your estate plan every few years and your insurance policies annually. Finally, it is important to meet with your wealth advisor at least annually, if not a few times per year.